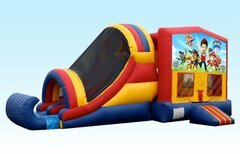 Tampa Inflatables is always adding new Bounce Houses, Water Slides, Inflatable Combos, and other party rental equipment to our inventory. Check out some of the new inflatables added this fall! 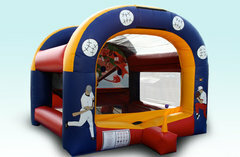 This inflatable party game is sure to bring out the competitive spirit in your event attendees. The players will shoot basketballs through their hoops which will reroute to their challengers collection bin. First player out of ammo wins! 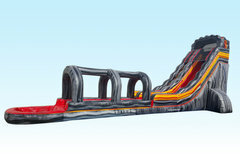 Soon to be the largest item in our inventory; Lava mountain is a gigantic water slide! This inflatable titan towers at 22ft high and engulfs the set up area with 57ft in length. Your birthday event will stay cool and fun with this enormous slide! The Super slide combo is perfect for your next backyard barbecue or party. 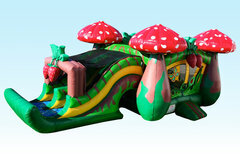 This unit includes a water slide with pool landing area, padded stairs, and easy grab hand holds. available wet or dry. Reserve today to keep the fun going. This 16ft waterslide is perfect for kids or adults. Hours of cool refreshing entertainment is exactly what any Tampa Birthday Party needs. Slide comes with large landing pool and soaker hose. Make sure to ask about our games and concessions as well! Every Princess needs a castle! 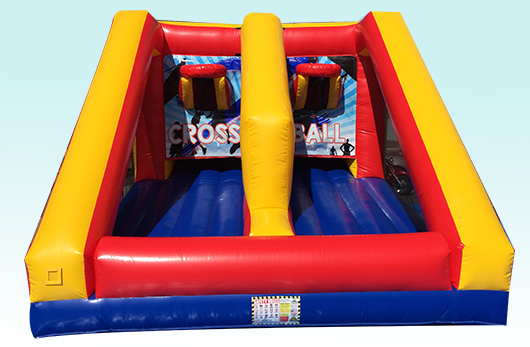 This Bounce house includes a basketball hoop and a 13x13 bounce area with large baffles. Turn any birthday party into a jumping good time. Reserve it today! Great for any age group, the Tropical Slide is a 16ft high 33ft long waterslide. Perfect for any party, occasion, or event. The Tsunami Bay slide is over 20 ft high! Currently the most popular slide in the Tampa Inflatables inventory. This slide is not for the weak of heart! The newest addition to our water slide offerings. Lava Mountain will impress any party goer. Standing at more than 24ft high and spanning more than 57ft in length, this water slide monster is sure to be the biggest, baddest slide at any event. 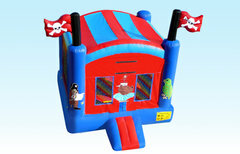 "The best bounce houses in Tampa Bay"
Experience the best party rental service in Hillsborough County. 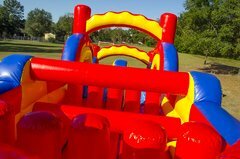 All bounce houses, water slides, combos and other party rental equipment are held to the highest manufacturing and maintenance standards. Units are cleaned and sanitized after every use! 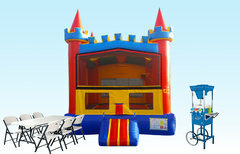 Tampa Inflatables takes pride in offering superior equipment and customer service. 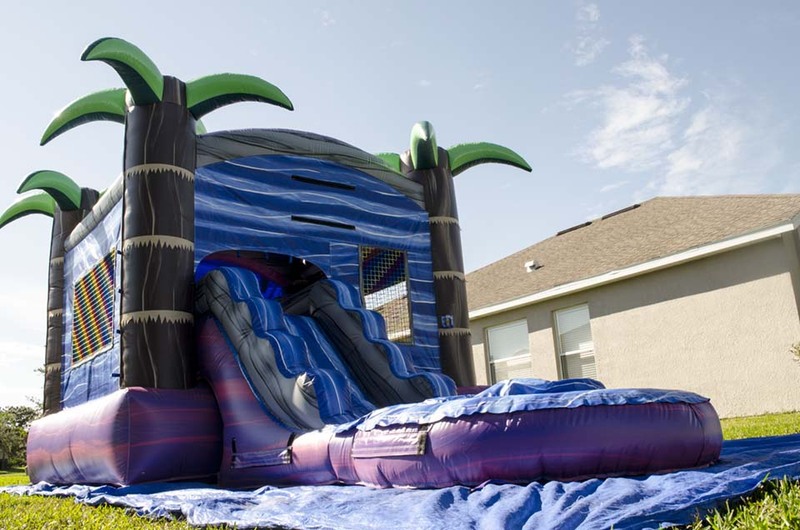 The Tampa Inflatables team is trained to ensure our order and delivery process is as easy and enjoyable as possible, you can always expect helpful staff and on-time delivery. Don't let the Florida heat ruin your event or party. Our selection of inflatable waterslides and wet combos are a unique and fun way to keep cool at your next party or event. 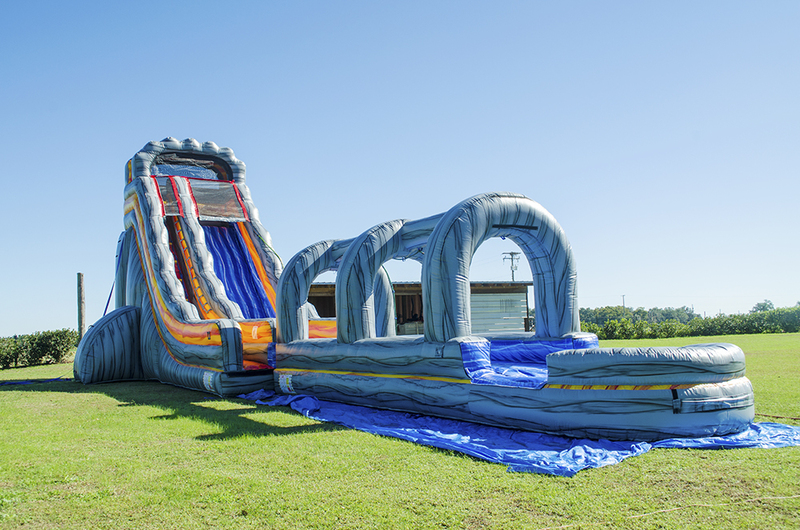 Water slides, inflatable slides and other wet inflatable games are perfect for personal parties, church or school functions, college parties and even corporate events. 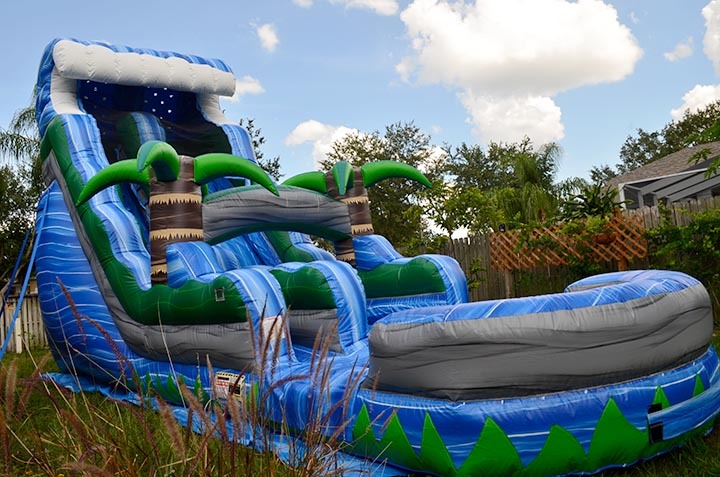 The fun never stops with a water slide rental or wet inflatable combo from Tampa Inflatables. Tampa Inflatables is an approved inflatable vendor for the City of Tampa and Hillsborough County Parks. 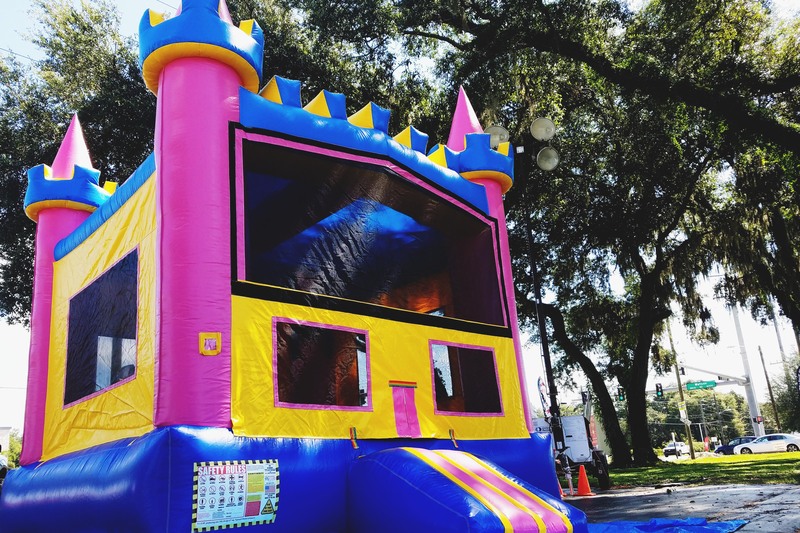 Our insurance policy allows us to accommodate delivery of bounce houses and other party rental equipment to most public and private parks. A certificate of liability can be produced given reasonable notice. Park Packages which include inflatables, concessions, and generators can be found in the Party Package section. Please read our FAQ regarding events hosted at parks and public spaces. 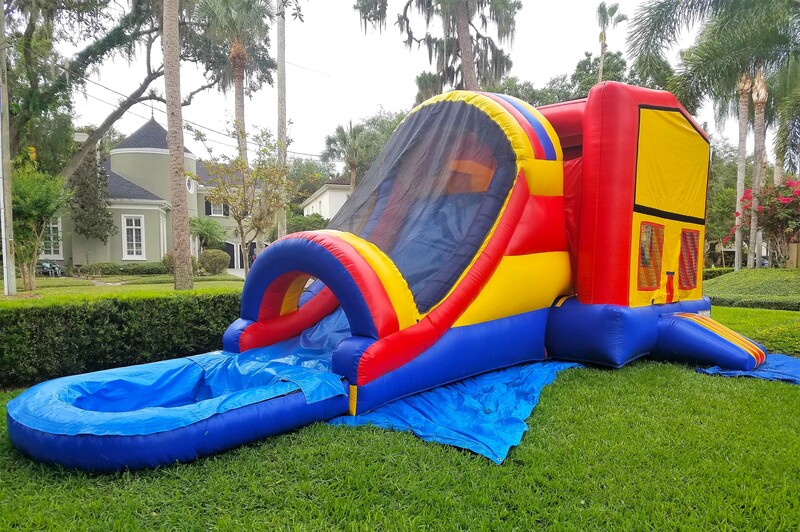 Tampa Inflatables services: Tampa, Brandon, Seffner, Dover, Valrico, Bloomingdale, Riverview, Gibsonton, Lithia, Ruskin, Sun City, Apollo Beach, Wimauma, Fishhawk, Bayshore, Davis Island, Westchase, Ybor, Town and Country, Carrolwood, Lutz.